Alaska has one of the broadest public records laws in the country. Every branch of government is subject to the law and requests can be submitted in any form, from an in-person request to an email. 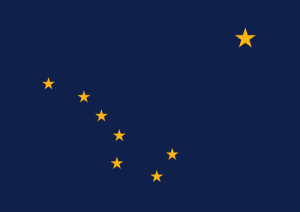 Even non-residents of Alaska have the right to request government records. Agencies must respond to a public records requests within 10 days. Social media records in Alaska are governed by the Alaska Statutes Title 40: Public Records and Recorders. In Alaska, a “record” means any document, paper, book, letter, drawing, map, plat, photo, photographic file, motion picture film, microfilm, microphotograph, exhibit, magnetic or paper tape, punched card, electronic record, or other document of any other material, regardless of physical form or characteristic, developed or received under law or in connection with the transaction of official business and preserved or appropriate for preservation by an agency or a political subdivision, as evidence of the organization, function, policies, decisions, procedures, operations, or other activities of the state or political subdivision or because of the informational value in them. The law does not define records by the medium, but instead by the value of information held in any means of communication. This applies to social media if anything of value is communicated online. What is my agency required to do in line with Alaska regulations?